What trouble is it that you are facing? Is it a financial burden? Sickness? Relationship issues? Maybe you don't understand why this is happening to you. It doesn't make sense. How can God possibly get you out of the situation you're in? How can He possibly use it for good? 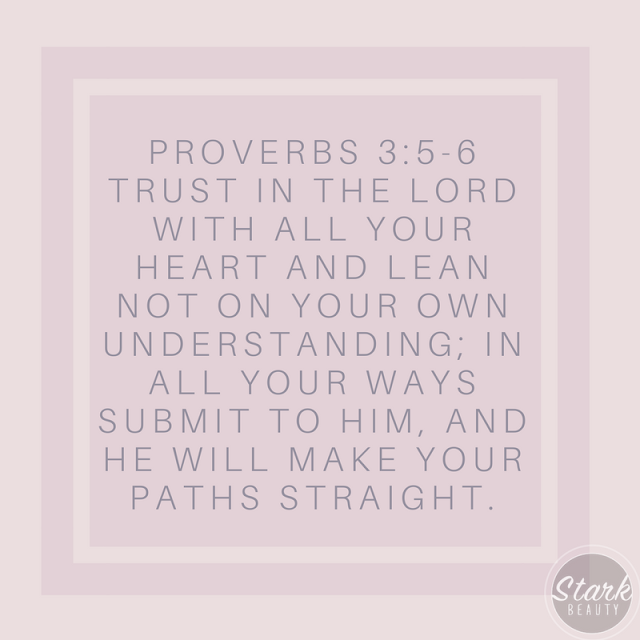 Proverbs 3:5 tells us to lean not on our own understanding, instead, to trust God. You don't see a way out, but He does. You don't see how this is going to work out for your benefit, but He does! You don't see the breakthrough or the doors opening or the angels at work, but He does! God is on the move. Don't lean on your own understanding, instead trust God because He is making your paths straight. His path is a path of exceedingly and abundantly MORE than you could ever ask or think (Ephesians 3:20). It is a path where every desire is met (Psalms 37:4). It is a path where every need is supplied, where you are the head and not the tail, and where you are overflowing with blessings! You might not understand what's happening, but you're not called to understand it, you're just called to trust Him. Know that He who promised is FAITHFUL!